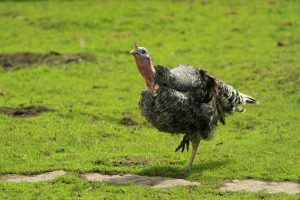 I live in Massachusetts and have a problem with wild turkeys scratching up my lawn to get to the bugs they eat. I’m told that the best way to prevent this is to treat the lawn so that the bugs taste bad which will encourage them to move on elsewhere for food. Can you tell me if there is a strong bad tasting agent I can use to keep them away? In general, birds don’t “taste” like mammals. For this reason, bad tasting agents won’t deter them. But sound can and we have a SOUND REPELLER that works great for this job. By default, our unit sends out ultra sound. This sound is in a frequency not audible by people but birds will detect it and stay clear where the device is heard. Each device can cover up to 5,000 sq/ft and the unit will detect motion from up to 50 feet away. Set the unit pointed at the area you need to protect and once in place, birds entering the area will set it off. The sound and light bar will automatically go off which will be more than enough to spook them away and keep the maway. These units also produce an audible sound. This sound you control. 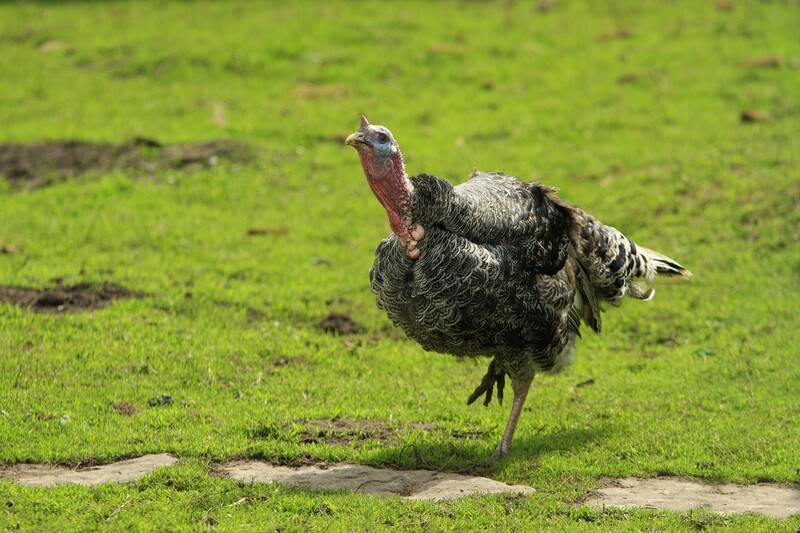 For turkey, we recommend you use that setting by dialing up the volume to at least 20-40 DB. When the unit is activated, having the audible sound kick in (along with the ultra sound which will always go off) is just one more component that will help chase them away and adds to the overall affect. 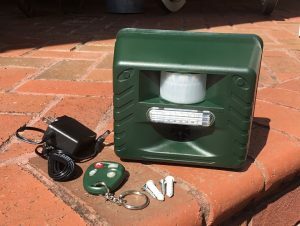 So in this case, the unit will need to have the Operating Time to “day”, the Ultrasonic set to “Motion Sensor” and the Motion Sensor Sensitivity set at “30” meaning it will activate when birds come within 30-50 feet of the unit. The Sonic Volume should be set at “20+” (meaning the higher the better) and the frequency (yellow knob) should be in the middle. For repelling turkeys in an area 5,000 sq/ft or less, this setting will work immediately once the unit is placed out. 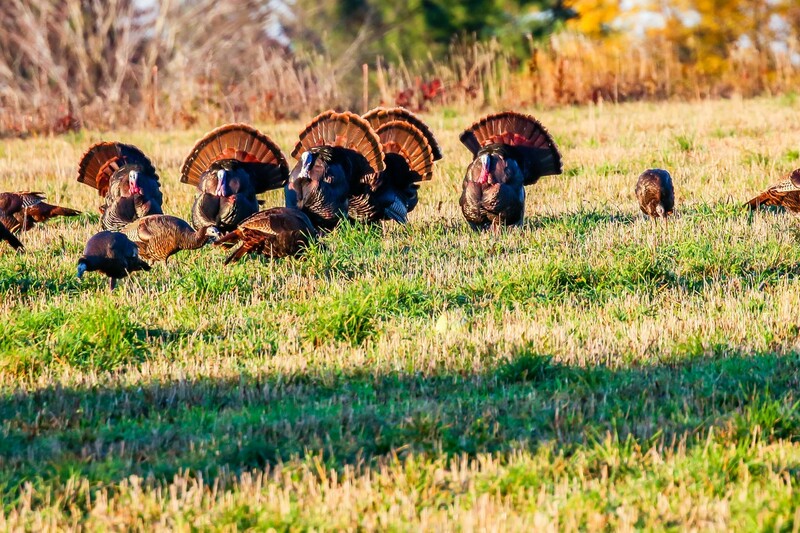 Units should be placed 1-2 feet above ground and pointed in the direction where turkeys are most active. 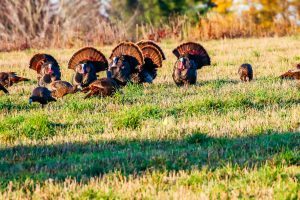 Now for “extra” protection, taking away the insects attracting the turkeys can also help. Apparently your lawn has a lot of insects – probably grubs. And since insects are a primary food source for many animals, its no surprise something has discovered this food supply and has come around to dig them up. 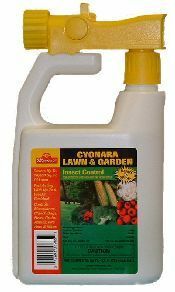 So with that being said, treating the soil with CYONARA RTS will kill off some of the insects which in turn will reduce the turkey activity. Basically by taking away their food, they’ll be forced to look for a meal somewhere else. 1 jug will treat up to 16,000 sq/ft and can be safely applied over grass, mulch areas and even vegetable gardens. Plan on treating twice in the first month to knock down active pests and then again once every 1-2 months to keep things under control.